!! 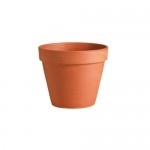 !ALL POTTERY EXCEPT FOR BONSAI POTS MUST BE PICKED UP AT NURSERY!!! 3.5", 5", 8", 12", 16", 20"
3.5x3", 5.25x4.25", 7.75x6.75", 12.25x9.75", 16.25x12.25", 20.5x14.5"
Cannot ship larger than 8", must be picked up at nursery. Cannot ship larger than 10", must be picked up at nursery.